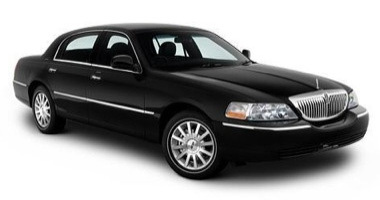 We offer the newest model of the Lincoln Town Car for our town car services, which has served as the industry standard for years. Providing comfortable seating for up to 3 passengers, these cars are air-conditioned, have a plush leather interior, dark-tinted windows, and reading lights. The Lincoln Town Car Limousines, which has set the industry standard for years, is an option we are proud to provide. Featuring comfortable seating for up to 8 passengers, these limousines are air-conditioned with a plush leather interior, dark-tinted windows, and lights for reading. Arrive at your destination in style with our top-notch limo service! Our sport utility vehicles are safe and will get you where you need to go on time, every time. These SUVs provide comfortable seating for up to 7 passengers and their luggage. Our SUVs are air-conditioned, have a plush leather interior and dark-tinted windows, and have convenient reading lights. If you’re travelling with a large group, our van services provide comfortable seating for up to 14 passengers sans luggage) at one time. This safe and reliable line allows you to travel with your friends wherever you need to go! When travelling with many people, our mini bus line provides comfortable seating for 16 or more passengers at a time. This line is frequently used for weddings or events and can be reserved for a specific trip or at an hourly rate. Please call us to ask about pricing and availability for this line and see why Able Airport & Limousine Service is your go-to company! © Copyright SDA Transportation Inc.. All Rights Reserved.